At Stride, there's only one thing we love more than helping travelers find their perfect trip - our mothers. And not only our moms, but also our grandmothers and the mothers of our children. This Mother’s Day, we wanted to give more to the moms of the world than a bouquet of flowers or a terrific Sunday brunch (but you should definitely still take your mom to brunch). We asked you to tell us where you'd most love to send your mom on a trip. And here's what you said! "My wife has always wanted to see Machu Picchu. I'd send her to Peru!" "I would like to send my Mom to the French Riviera!" "My mom has always loved adventure – from flying over a volcano in Hawaii to getting up close to lions in Africa. I would send her on a trip to India, a country she has always dreamed of seeing." 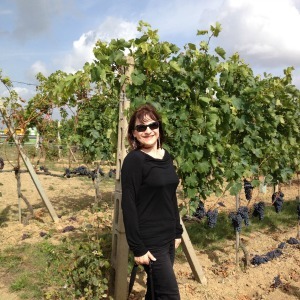 "I got my travel bug from my mom, but finances haven't allowed her to travel much the past few years. I would send her to the most incredible place I have ever set eyes on so she can experience it for herself- the Laugavegur trail in Iceland." "I would most love to send my mother to The Philippines - the country she was born and raised in. At the age of 16, she immigrated to the United States to go to school and five decades later, she continues to work hard to support our family. She is a wonderful and loving mother who I know would be ecstatic about an opportunity to visit her mother country since leaving in 1970." "We took the QE2 when we moved to Europe in 1997. As we left New York it started to rain so almost everyone went inside the ship but she told my family to stay outside. We did and the most beautiful rainbow appeared over the Statue of Liberty and we were just a few of the people who saw it!" "I would love to take my mom and my daughters on an African Safari. It's been a dream since I was a little girl and it would be amazing to share it with 3 generations." "I would absolutely love to be able to send my mom to Cuba. In 2010, my dad came down with a terminal illness. He had emigrated from Cuba to the US 50 years earlier and never been back to visit the island--it was one of his life-long dreams to return to the place where he grew up. Knowing he had little time left, my mom dug deep and managed to finance a trip to Cuba for my dad and me, but she couldn't afford to join us herself. My dad passed away a couple of years ago, and that trip back "home" to Cuba is one of my most treasured and enduring memories of him. I would love to be able to return the favor and take my mom to see the place where the love of her life was born and raised." "My mother and I have wanted to go island hopping in Greece for as long as I can remember. We intended to go to celebrate my 30th and her 60th birthday, but I had a newborn and toddler. She is my best friend for life, and I would do anything to give this trip to her." "Mom's got the passion of a pirate! Worth more than a treasure chest, she'll steal your heart! She'd love to sail the cerulean sea of Pirate's Paradise -- the Caribbean -- ARRRGH!" "My favorite travel memory with my mom was driving down Waikiki in a convertible while blasting ABBA's Dancing Queen on repeat. 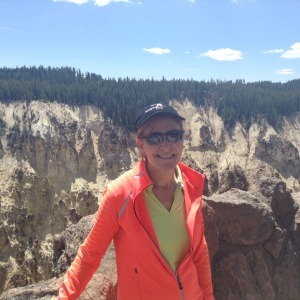 Just like she lives vicariously through pictures of my extreme hikes and adventures in the American Southwest, I got to vicariously live her youth and first love through music." "Dubai - my mother gave birth to me there 40 years ago and we've never returned. It would be emotional and wonderful to do this together." I would send my mom to Florida so that she could visit her sister who she hasn't seen in 6 years! They talk every day but they miss each other so much. "My wife works unbelievably hard managing our three kids, working full time, doing lots of volunteer work, and managing our house as well as she does. She also takes great care of her husband like no other. She would love the beach anywhere in the US, preferably Hawaii." 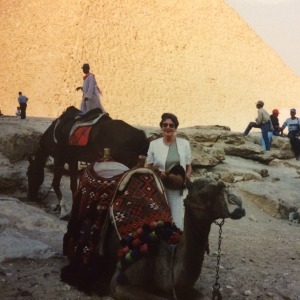 "My mum loves to travel by cruise in style - it is not so much where, but who she travels with (she has been married to my dad for almost 55 years). She would be happy to go on a Mediterranean cruise." "I would like to send my Mom to Istanbul so she can visit family who are unable to travel to the USA." "My mom grew up summer holidaying and camp counselling on the Black Sea. It would be amazing to be able to send her to see it again." "I would love for Mom to come see me perform, in New York in one of Dance Theatre of Harlem New York seasons, that would be a dream come true. As a professional ballerina the only thing that would complete my career is having her in the audience seeing me perform." These women below are near and dear to our hearts. They've instilled us with confidence and shaped us into the people we are today. And they're a pretty well traveled bunch! “My mom has always been a huge traveler. 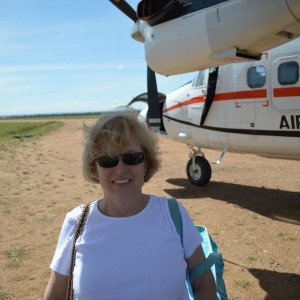 Her favorite trip involved flying in a bush plane in Kenya!" “Mom inspired me to travel from a young age. Nowadays, she travels more than I do even though I work in the industry!" "My grandmother is one of the most adventurous women I know. Even now, at 90 years old, she's as spritely as can be. Two years ago she completed a two month cruise around South America!" Stride enables travelers of all stripes to explore the world with confidence. It is the first search & reviews marketplace for all experiential, pre-planned travel including multi-day guided tours, adventure travel packages, and small ship & river cruises.